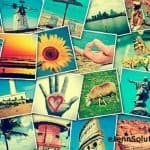 Home » Have You Created Your “Say Thanks” Facebook Video? Remember last year when Facebook created that cute “look back” video to celebrate their 10 year anniversary? Well, the Facebook team has done it again with a cute video and way to #SayThanks to your friends! I have to admit … it’s pretty darn cute to see the things you’ve done with some of your friends over the years. If you haven’t had the opportunity to create your video yet – here is where to start “Create Your #SayThanks Facebook Video”. Enjoy the videos … I have a feeling you’ll be seeing these throughout the weekend! Cheers to great friends and a fun way for you to take a look back at your friendships ….